Welcome to my phantasy photo site! Wonderful Original Gift Idea for Children, Friends, Family, Lovers, Bosses, and Co-workers! Phantasy Photos is the only place where you can get your picture/image made into whatever character you desire...you name it, I do it! There is nothing to it really...you email me a good quality picture (not too small or blurry, or image will be distorted), name what you would like to see youself (or person in the picture) as, and sit back and let me do all the work! How easy is that? This is a very affordable, unique, and beautiful gift idea for anyone, and you can only find it here. So, if you have interest in a one-of-a-kind gift, take a look around! If you like what you see, then tell me by signing my guestbook. If you decide to place an order, just send me your photo along with your preferences, and let me help make your Photo Phantasies a reality! 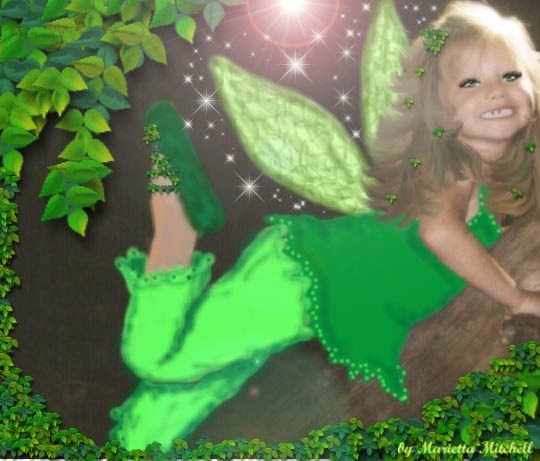 This Phantasy Fairy image was done using an original digital photo. All you have to do is have a Photo Phantastic idea, and I will do the rest!